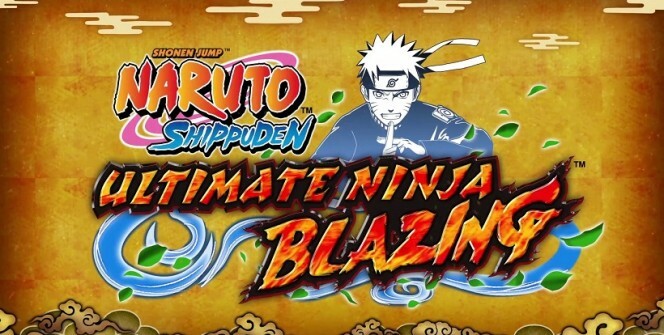 Based on the Naruto anime franchise, Ultimate Ninja Blazing is a mobile game that allows you to get involved in Shinobi Formation Battles. The strategic action game is developed by BANDAI NAMCO Entertainment Inc. and is compatible with Android & iOS devices. In order to win the battles, you will have to team up with your fellow fighters and unleash attacks on your enemies. The mobile game can also be played on a PC with the help of an Android emulator. In case you didn’t, Shinobi Formation Battles are strategic battles that can be carried out with intuitive controls. They involve teaming up with your allies to unleash Combination Attacks on your enemies. Your allies have Field Skills that can be activated, making your attacks more lethal. When attacking your opponents as a group, you should resist counter attacks as much as possible. This is because any successful attack on your group can wipe out all your allies. You should also unleash powerful, continuous attacks to avoid group hits from your enemies. 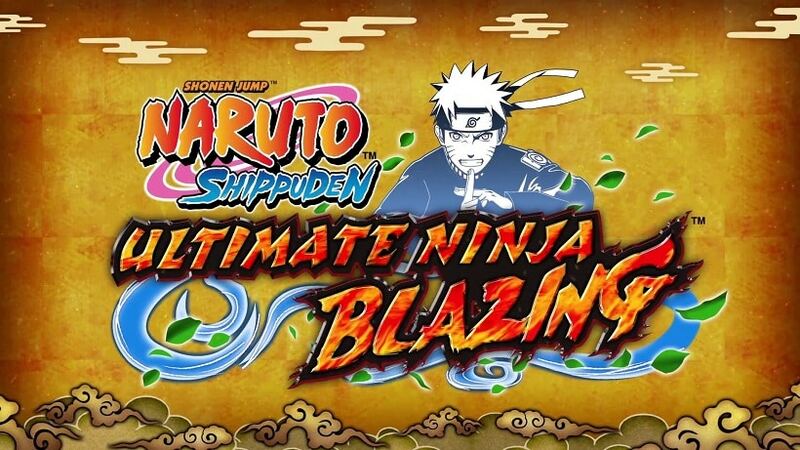 Ultimate Ninja Blazing presents you with a huge range of Ninjutsu which are characters key to battle. There are offensive Ninjutsu that you can use to destroy your enemies and sealing Ninjutsu that you can use to stop your enemy movements. There are also Ninjutsu that possess powerful Secret Technique which you can utilize to monitor your enemy’s missions. The timers are located next to your enemies and show when your opponents will be unleashing attacks. When you notice that they are about to attack, it is recommended to stay back and strengthen your group. But when you see the timers showing many turns before their next attack, you can push forward and unleash your attacks. 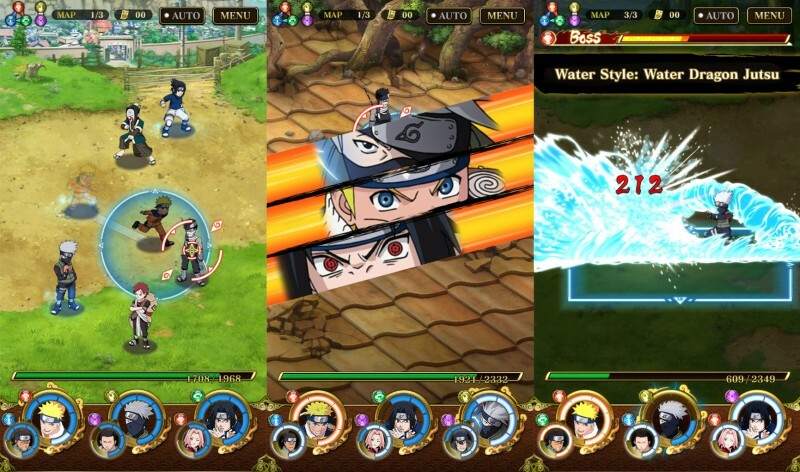 Ultimate Ninja Blazing gives you five slots that you can match up with the available five elements. After matching up them, you need to represent all of them in the battles in order to unleash stronger attacks. Since you might not be aware of the elements used by your opponents, you should get all your elements out there to deal with corresponding elements. Phantom Castle is a special mode that appears during special event periods. When in this mode, you can compete against other players to win points that will take you to the top of the castle. As you move from one level to another climbing the castle, you will come across a multitude of enemies that you must take down in order to get to the top. When you get into the social part of the game, you will be able to use the Friend Summon feature. You can use the game’s premium currency (ninja pearls) or friend points to launch a Friend Summon. If you are finding it hard to earn ninja pearls, just add friends and you will earn friends points that will help you use the Friend Summon. If you want to play the game on a bigger screen of a desktop, laptop or MAC, install it on your computer with the help of an Android emulator. This software will allow you to download and install the free game app on your computer. Sometimes when playing Ultimate Ninja Blazing, bluestacks ask you fee to pay but gives you option to download some apps. Every time it asks you just select “Install apps” and continue using it free. I hope you enjoyed this guide, please rate and share. If you have problems running Ultimate Ninja Blazing on desktop or any other issues, leave a comment below.